Turick is one of the last of his kind known to exist. Named by the United Space Force (USF) as terrorists responsible for the release of a deadly contagion, the Lagra’s home world was decimated. During the slaughter, Turick was separated from the few Lagra that escaped and was left behind. 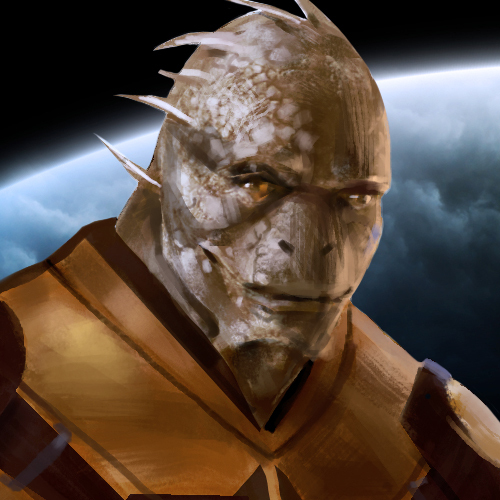 Facing extinction and dishonor, Turick works on board a trade ship as an enforcer while searching for his people. "EVES RISING: Vision of Wings" is the first novel in the EVES RISING series and follows Ebony's story.